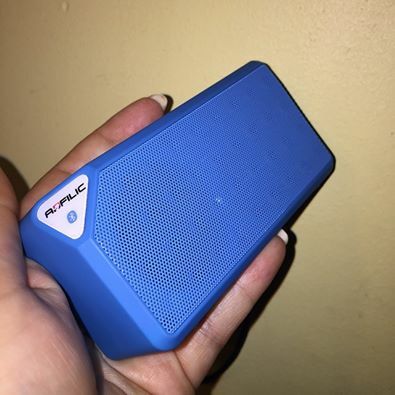 Life of a mad typer: Adfilic Bluetooth Speaker review and giveaway. 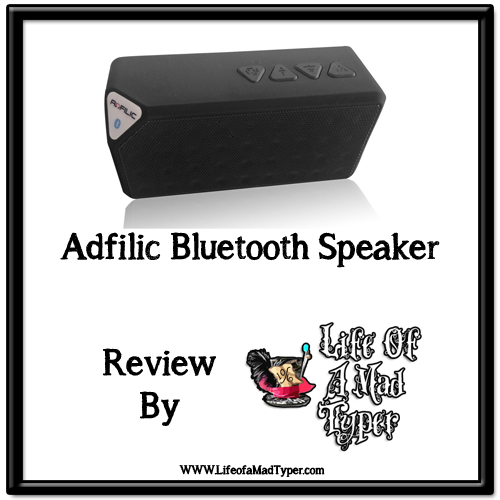 Adfilic Bluetooth Speaker review and giveaway. I received one or more of the products mentioned for free using Tomoson.com. Regardless, I only recommend products or services I use personally and believe will be good for my readers. 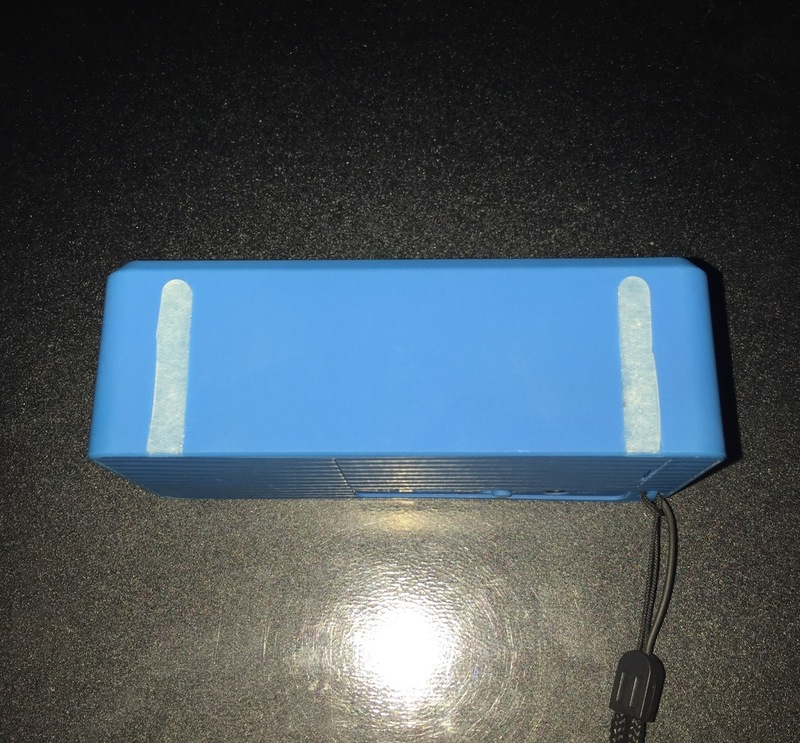 I received the Adfilic speaker in blue which I love and was a nice surprise when I opened the box to find a blue speaker instead of the black one. The speaker has a matte finish with 2 non slip strips on the bottom to keep it from sliding around. I love to toss this in my purse to use on the go and with the lanyard it makes it easy to carry it around with me. They are great when trying to share a recording from your mobile phone or tablet with a group of people. I use this in the bathroom in the morning while getting ready for work. The sound is clear and the accent the person has when you change modes makes me smile. It can also be used a radio, run a cable from another device that is not Bluetooth capable and you can use this that way too! Bluetooth and you can even answer calls from it! You can charge it with a standard micro charger that fits most android, window phones and so much more. The battery lasts for about 8 hrs before having to recharge it. I am loving my bluetooth speaker and I am please to tell you we are going to be giving one away! 18 + only. USA only Entries will be verified Winner will have 48 hours to verify or another winner will be chosen. This blog is not responsible for shipping or lost prizes. a Rafflecopter giveaway I received one or more of the products mentioned above for free using Tomoson.com. Regardless, I only recommend products or services I use personally and believe will be good for my readers. I love the wireless portability with bluetooth speakers. I like that you can use Bluetooth speakers just about anywhere and with so many devices. I have music on my iPhone and iPod but the built-in speakers on those aren't very good. I've really been wanting a Bluetooth speaker to use with them. I like how loud they are for their size.